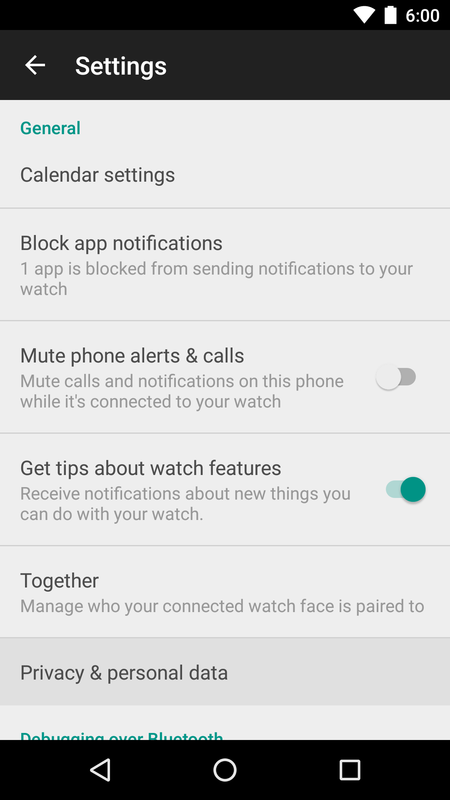 Version 1.4 of the Android Wear app started rolling out late Friday. The theme of this update, at least for what's currently live, is a set of changes to the Settings screen. There are a couple of new options, but they come at the expense of the battery stats screen. A look under the hood also shows that a few other features are either live or in the works for the next Wear OS update. Don't bother looking at the main screen for changes, because they're not there. Go straight to the Settings icon in the action bar for the real differences. 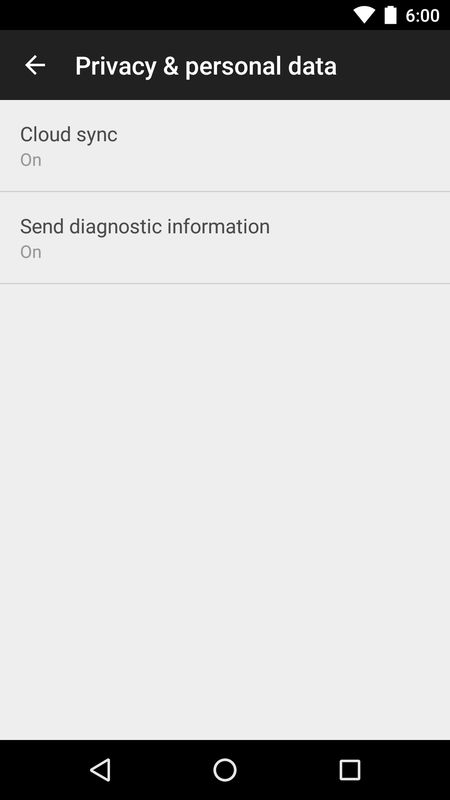 To begin with, the Cloud sync toggle has been moved from the main list into a new sub-screen for Privacy & personal data. 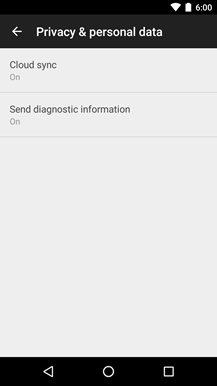 Joining it is a new toggle to enable sending diagnostic information to Google. On a fresh install, both options are disabled. Another new option in the Settings screen allows users to switch on or off the tip cards in the Wear main screen, which I sometimes refer to as "got it cards." Anybody that regularly reads Android Police probably knows about everything these cards would show, so turning them off might save a few taps in the future. Sorry, no more battery stats for watches. Sadly, one feature has been given the axe: battery stats. 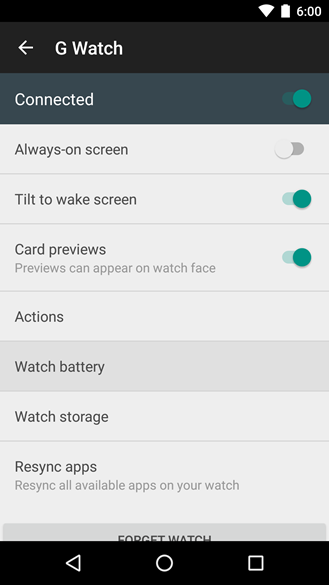 If you look at the settings for individual watches, the "Watch battery" option has been removed. 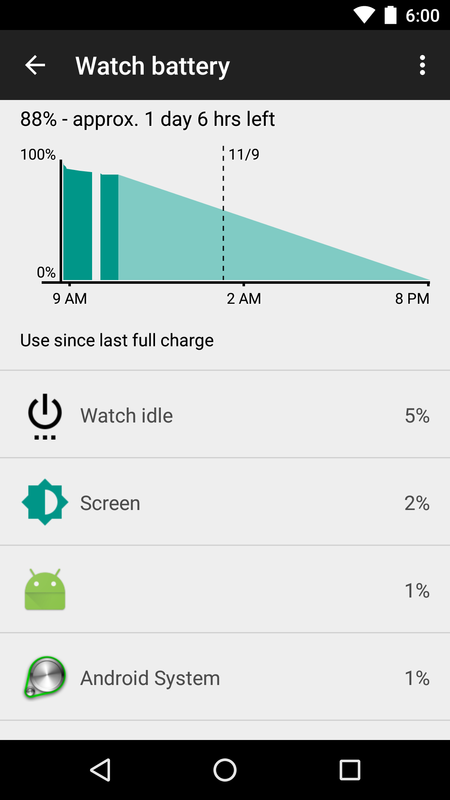 The screen has been criticized as not being particularly useful since there were relatively few things that could be done to improve battery life, but it was at least useful for keeping an eye on how long a watch could make it on a full charge. I'd like to think this will come back in a future update. A changelog for the next version of Wear OS just happens to be present in this release. A few of these changes are probably live already, but the biggest ones are almost certainly waiting on some firmware updates. The most significant change is support for watches with a speaker. Everybody has known for a while that audio support was on the way. Not only has Google mentioned this in the past, but we've seen that both the Huawei Watch and LG Watch Urbane Second Edition are already equipped with speakers. Nevertheless, this is a pretty good clue the firmware update isn't too far away. Other firmware-dependent features mentioned in the changelog are a new gesture for one-handed control and battery life improvements. Neither one is detailed in any other way, but they're both certainly welcome. 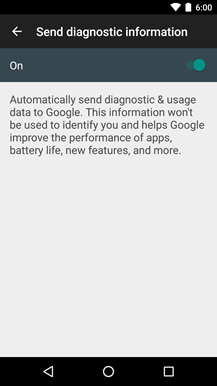 Hey, maybe "battery life improvements" is code for Android 6.0? Language support is growing a bit more with the addition of Mandarin, Cantonese, Indonesian, Polish, Dutch, and Thai. The first two are definitely expected since Google is planning to launch Android Wear in China very soon. In case anybody is curious, this is the reason the new version number includes "gms" at the end. 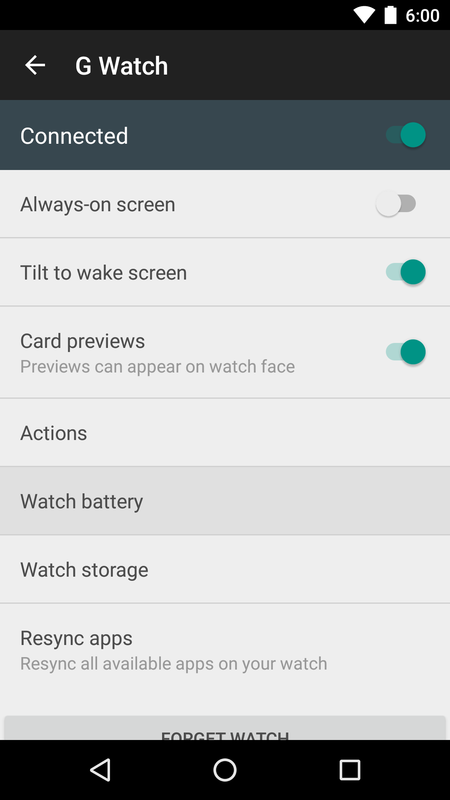 There will be a separate Android Wear companion app that is specifically for Wear devices sold in China, and it will not include a microapk for Play services. I can't speak to the rest, but the translations for each are a bit larger. 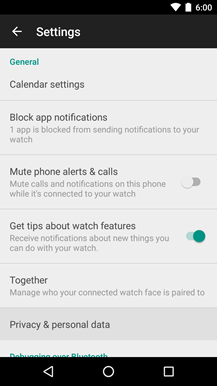 The next Wear OS update will probably include full support for these languages, as well. Finally, I'm not sure if this is live yet, but the changelog also mentions sending messages with voice (or touch) commands through Whatsapp, WeChat, Viber, Telegram, and Nextplus. 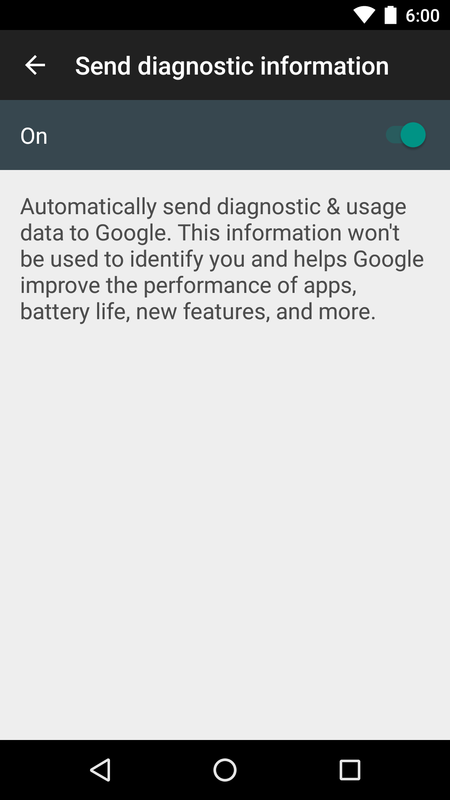 This probably looks familiar since Google added the same feature for phones and tablets back in July. Just like Hangouts, it should be possible to send messages through any of these instant messengers purely with voice commands.